This is going to be a very fiber geek kind of post. There will be terms like "Fiber Event" and "Knit Night" sprinkled throughout, and I will write with a wistful tone about both. Don't say I didn't warn you. I live in the farthest corner of Texas. As in, "If there's a bright center to the universe, I'm in the corner it's farthest from." I only read about Rhinebeck and Maryland Sheep and Wool. For that matter, I only wear hand knits a couple of months a year. Even then, I find myself peeling them off after a few hours because it's just so warm. We do have DFW Fiberfest and I watched their website for months to see when registration opened and class schedules were announced. This was going to be an extravagant birthday present to me from my husband. But I swear it filled up almost overnight, when I wasn't checking. That was a bummer, until I saw that Madtosh was hosting Joji Locatelli and Veera Välimäki for Joji and Veera Knit America. So I signed up for several classes and Knit Night and am using the class date as momentum to knit both Dragonflies and Twenty Ten, two patterns I've had queued up for freakin ever. You're seeing my progress on Dragonflies. Two years ago, I'd have been finished already, but my knitting time is much more limited and I may pull some late night cram sessions to have it done. I don't know why I want to do this, I just do. I guess I'd like first-hand experience with Joji and Veera's designs before sitting in on their classes. It's weird that I haven't actually knit something from either one, though they are all through my favorites list. wow, that sounds amazing! I read about that event somewhere and thought how cool it would be to go there. I hope you'll have a brilliant time and I'd love to hear about it! I totally get the Texas thing (I'm here too). I've been trying to figure out a way to make Stitches Texas happen for me!! I love Joji's designs. That event sounds like so much fun. I can't wait to hear about it. And your sweater is looking great! Nice! I'm happy that you can finally attend a knitting event! Knitting and sewing are lonely hobbies and it's always pleasant to be able to sit with other fellow crafters. 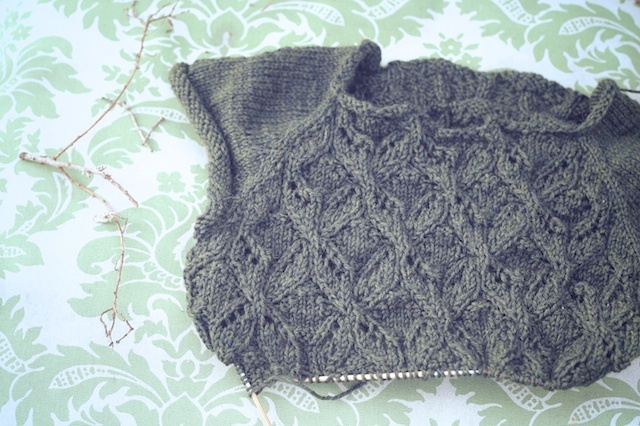 I love that Dragonflies pullover and you'll get more of your classes knowing a bit of the designer's work beforehand. Enjoy! Talk about living where there are no fiber/knits festivals, I live in the middle of Alaska. I am always so jealous when I see all the Rhinebeck and Stitches conventions, but I love living vicarious through other peoples adventures. Your dragonfly looks amazing, what a beautiful knit. 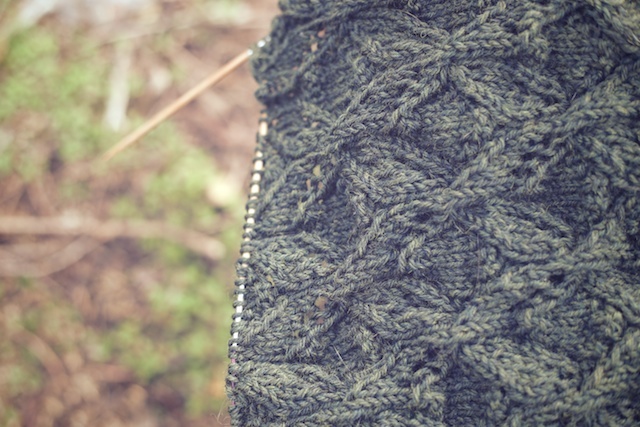 On the bright side, I have plenty of cold weather months to wear all my hand knits. Ooo, those are pretty knits! 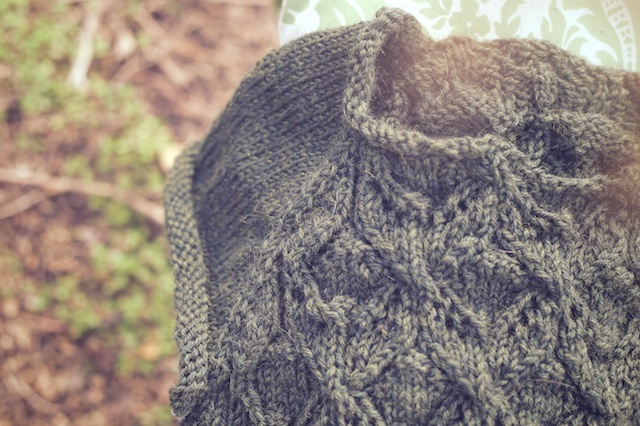 I really like the Dragonfly, and your version is promising to be another stunning Michelle sweater. :) Good luck and happy knitting, getting those both done. On another note, I think I might get you to pick out my next sweater colour. I always gravitate to ALL THE COLOURS, but I always love your choices. You have a good eye for them. Thank you, Corinne! I will certainly be posting about it. Thanks, Brandy! I tried it on today and I'm confident it will fit right. That was a giant sigh of relief. Now I just need to finish sleeves. I'm surprised Joji hadn't ever taught a class before. I'm excited to sit in, and I will be writing about the whole thing. Well, I just went with an old favorite- forest green. I can't believe I've never knit anything from either one of them. I've certainly admired their work like crazy. I guess we just get in our Ravelry groups and tend to stick with favorite publications. But I'm setting that straight, now. I won't finish Twenty Ten by the event, but I'll probably finish it by the drive home, so I'll be satisfied. I have you to thank for the Dragonflies, Elena! :). I'm hoping to at least start Aveera's Atwenty Aten before I get there. She's got such interesting construction to her pieces, I'd love to experience one before then. But, yes, I'll just be happy to be so in my element, talking knitwear. Oh, great! I'll try to get some rabid knitting fan pics :) and will definitely talk about it here! You are right. Alaska may be a festival-less, but... hello...cold weather! I've been thinking I'd like to live further north one day. I don't know if that's in God's plan for me, but I would certainly make the most of sweater weather. Until then, I'll just be a sweater hoarder. Okay, that Gould be really fun. Maybe next time I want to order from, say, Knit Picks, I'll ask you what color I should order. Hehe. It would be a great excuse to make an order, "Heather says I have to buy this." Only thing is I'm seriously-SERIOUSLY- knitting down my stash before I order more. Yeah, right.